First quarter real GDP growth in the U.S. was lackluster, with growth registering a meager 2.0 percent. However, that, of course, does not mean that growth was the same across the nation. Indeed, as we see in the state GDP report from the U.S. Bureau of Economic Analysis, growth can and does vary widely from state to state. 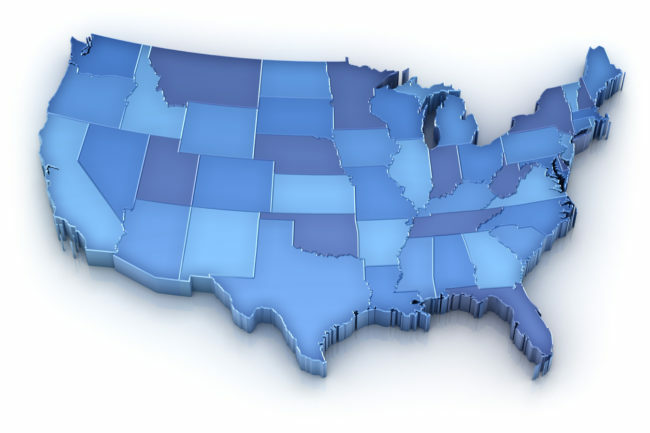 The BEA released its report on first quarter state GDP on July 24th, and real growth again varied considerably across the nation. Indeed, while the state of Washington topped the states with an annualized real growth rate of 3.6 percent (double to national estimate of state GDP growth of 1.8 percent), North Dakota’s economy shrank by 0.6 percent (mining and construction were hit hard). By the way, North Dakota was the only state to experience a decline in real state GDP. The BEA reported that some key sectors contributed to growth across much of the nation, such as real estate, information services, and manufacturing. And as SBE Council makes clear in its “Small Business Policy Index” and “Small Business Tax Index,” policy differences impact incentives for starting up, investing in, and operating businesses, as well as living and seeking opportunity in each state. We do see real effects. In the end, a wide range of factors come into play when it comes to economic growth, but make no mistake, policy – such as taxes and regulations – matter as they impact the incentives and costs of growth-generating undertakings like entrepreneurship and investment.